What is happening fellas?! It’s been two years since we posted our essential photography equipment but times have changed and now we have a brand new set of equipment, cameras and bags. This is what we currently use pretty much every time we travel, everything from lenses and cameras, to our drone and accessories. We said this in our last blog post but before you read any further, if you are just starting out you don’t need to be spending thousands of pounds on cameras and equipment to make great content; stories and individuality is key! 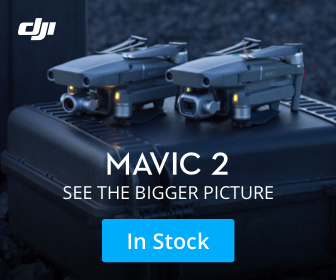 After using the DJI Mavic Pro for 2 years and absolutely loving it we didn’t think it could be beat. Then along came the DJI Mavic Pro 2 Zoom ❤️ This thing is super impressive, although slightly heavier than the Mavic Pro it still fits into my backpack with a bunch of cameras and lenses. The zoom option is really helpful for so many situations and effects and with 31 minutes flight time you have ages to get the shots you need! ﻿From the very beginning we have always filmed all of our action/water photos and videos on GoPro cameras. They are so versatile and if you travel with someone like Aimee, chances are your normal, non durable cameras are going to get Capri Sun or coffee spilt on them or they’ll be dropped in a puddle. With a GoPro you have no worries. We just got the new GoPro Hero 7 and I can honestly say that it is a game changer. If you are looking for a cheaper version the GoPro Hero 7 Silver is also superb. After the Mongol Rally our Sony A7s II (brilliant low light camera) took an absolute pasting! We were looking for an upgrade and decided on the Sony A7R III! The 42 megapixels blew us away, having used a mirrorless camera for 2 years that captures 12.2 megapixels we couldn’t believe the upgrade and gives you so much more to play with. The best part about this camera is that it’s compact and also really fast. If you’re looking to get one of the best cameras on the market at the moment then this is a solid investment- you will not be disappointed! When we first got our hands on the GoPro Fusion we didn’t know what to do with ourselves (and it). 360 is still a bit daunting but when ever we whip this out and shoot photo or video on it, it really is on another level. The overcapture mode is just so impressive, and the stabilisation on the video, even when you’re having our of a car at or running is silky smooth. If you’re thinking of getting into 360 then consider this bad boy- it’s filth! If you’re thinking of vlogging with the any Sony camera then this lens is PERFECT! It’s super wide, pretty fast and shoots great photo and video. We keep this lens on 90% of the time when we are vlogging our travels and we always take it on every trip. This is a great mid range lens, we used this when we travelled the Philippines and we still use it every time we are out and about. Combine this with the super slow mo capabilities of the Sony Mirrorless beasts and you will get some beautiful footage/photos. This is a pretty standard zoom lens, bit it’s so small AND so cheap it is surprisingly good. As long as you keep it steady it is a great addition to have in your camera bag. From filming wildlife or close ups of your mates slurping noodles, this lens adds a personal touch to your content. It is also really great for portraits! For the most cinematic shots possible you’re going to want to invest in a smooth cam/stabiliser for that silky smooth look. Don’t waste your time with heavy manual stabilisers (I have tried them and they are not easy to master!) We always travel with with the Feiyu MG Lite 3-Xis Gimbal. It is really easy to master and it will make your shots look super professional! Filters are key when it comes to filming, they are great for photography too but as you are limited with shutter speed when filming a filter is really important for getting lovely cinematic looking shots. This filter is a gem, we had it on our camera for the whole Mongol Rally and on bright sunny days you can’t really shoot without it! Perfect for nice creamy background (also known as bokeh) this filter is pricey but totally worth it. We use this filter on all of our lenses. Pro tip: Make sure your White balance is on point for easier colour grading or for using Lightroom Presets. Over the years we have used a number of different Rode Mics. We started out with the Rode Videomic GO, which is great if you’re just starting out. Then we moved on to the Rode VideoMic Pro which is another level up (better sound quality and adjustable buttons. 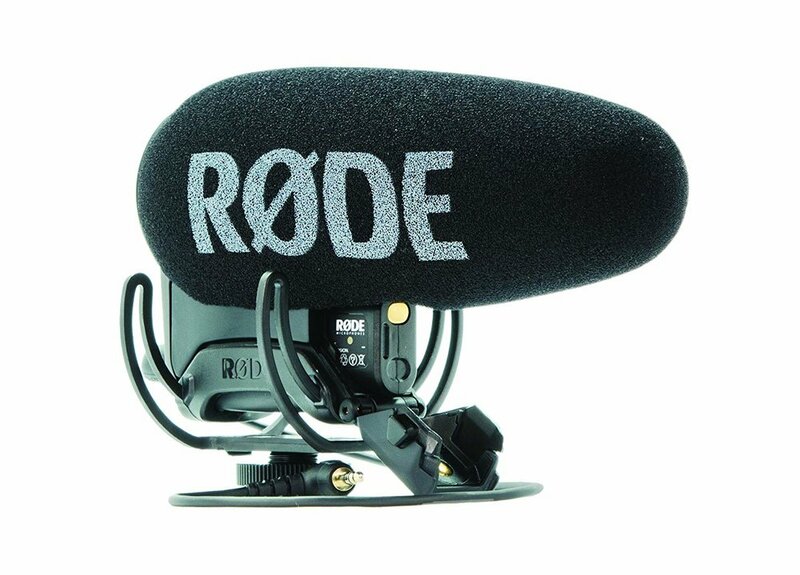 For the past year we have been using the big dog of the Rode line up - the Rode VideoMic Pro+. This is the biggest and baddest microphone, works great in busy streets or on windy mountains (with a dead cat) and has the deepest richest sound when you are filming interviews or vlogging. They always say the best camera you’ve got is the one that you have with you, with that being said you should make sure you have a banging camera on your phone because it will always be in your pocket! Having used iPhone for nearly 8 years I found it hard to try anything else. As soon as I took the plunge and went for this Huawei P20 Pro it changed the game. The portraits it shoots and the slow motion on the camera is shocking. Even in low light the photos look like they’ve been shot on a DLST. Combining the photos on this bad boy with our Lightroom Presets straight out of my pocket is next level. If you’re looking for a lightening fast phone that does everything and more that an iPhone does go for the P20 Pro or the newer Huawei Mate Pro 20 (which has a wide angle lens as well!) Aimee has the iPhone 6s Plus which also has a great camera and if you can’t pull yourself away from Apple then the newer phones have improved quite a bit too! Our tripod for a long time has been Andoer Travel Tripod, which costs £39.99 on Amazon and doubles up as a monopod. It’s cheap and cheerful and does the job! We will probably upgrade to something a little bit lighter but for now this is perfect. If you’ve got yourself a fancy new camera then you’re going to need the right memory card. If you’re shooting high frames per second or 4K or if your camera captures a lot of megapixels then you need a memory card with a fast writing speed. We use Sandisk Extreme Pro memory cards which never let us down. If you’re shooting with a GoPro that records 60fps and up you are going to need a Class 10 Micro SD card, we use the Sandisk Extreme Pro Mirco SD in both of our GoPro’s. Always back up your footage! We have been pretty lucky when it comes to keeping our content safe, but some of our friends have captured content for companies on paid jobs and ended up losing it all. Make sure you back up your content or your holiday photos and videos to a decent hard drive. We use both Lacie and Seagate Hard drives. Both work perfectly and are fast when transferring data, but the Lacie in particular is tried and tested on the road. It’s rugged, shock, drop and crush resistant and holds up even when you’re camping next to a burning crater. If you’re ever thinking about investing in a computer then we would highly recommend getting yourself a Macbook Pro. They have been the best investments of our career and even though they’re nearly 5 years old they have never crashed, never been slow, and never needed any maintenance. They are more expensive than a windows laptop BUT, you don’t need any anti virus plugins, it’s seamless to use and will just make the creative process much better. HIGHLY RECOMMEND! I have also used and REALLY rate the Thule TCDK101 Covert Dark Shadow Backpack - plenty of room, nice dividers and lots of pockets for all your bits. Here are few must have accessories to maximise the potential of your photos and videos, these are items that always come with us on our travels. GoPro Jaws mount -perfect for mounting on anything for timelapses, photos and unusual angles. GoPro bite mount - the best POV angle, great for photos and hands free filming from your eyes. A lot of vloggers will recommend the Jobi Gorilla Pod when it comes to filming yourself. We have used them in the past but they always loosen up after a few months and you have to keep buying new ones. We use this Z plate to vlog, it’s useful for timelapses, placing your camera on the floor or on anything without it having to lay on its size and it also doubles up as a tripod for photos. If you’ve got a lot of cameras then you’re going to have a lot of wires and chargers. All of those in your bag is going to be a nightmare so get yourself an organiser to keep it tidy. We use this cheap organiser from Amazon to keep all our bits in place! That is it for all of our gear! We will be using all of this for our upcoming trips in 2019 to create all of our photos and weird videos. If you haven’t already follow us on all of our platforms below and let us know what gear you rate this year! The ULTIMATE Welsh road trip!